Stop in for a plate today or let us cater your next party! Just Kabob's catering is ALWAYS a crowd pleaser! Stop in with the family around our dinner table! We just know you'll love it! 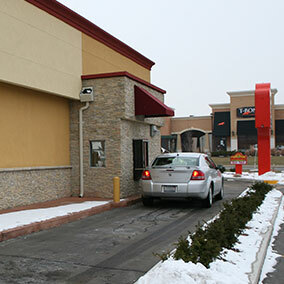 Just swing by our drive-thru or grab some carry-out on the way home for a quick tasty meal that can't be beat! 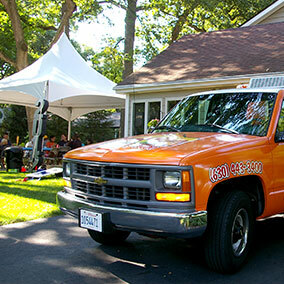 Let us cater your event up to 1000 people with our delicious fresh food! 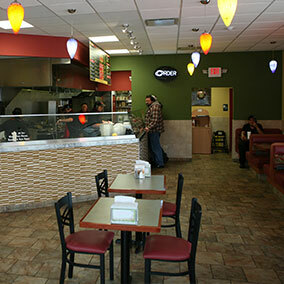 "High quality, fast service, affordable, can't miss...gyro joint. " The Easy & Delicious Answer To Dinner Tonight! Come and experience fresh, quality food at a restaurant that's just right around the block! At Just Kabobs, we take pride in making all of our food fresh daily. We don't even have a microwave in the building! Come and bring the family and have a great meal that won't break the bank. While our name might be all about "the kabob", we also have barbecue rotisserie chicken, homemade spinach pie and gyros!